Cash & Tips is a cash reconciliation or cash tracking application tightly integrated with your Poynt Terminal. It enables you to track cash in, cash out and tips from your cash register and tip-jar on a daily basis. As an owner or manager, you need to be aware of cash in the register at any given time and track back any mission cash. With any questions not addressed by this Quick Start Guide, please reach out to Cash & Tips at 408-896-1368, email them at info@appkogent.com, or use the Contact Us button within the app on your terminal. 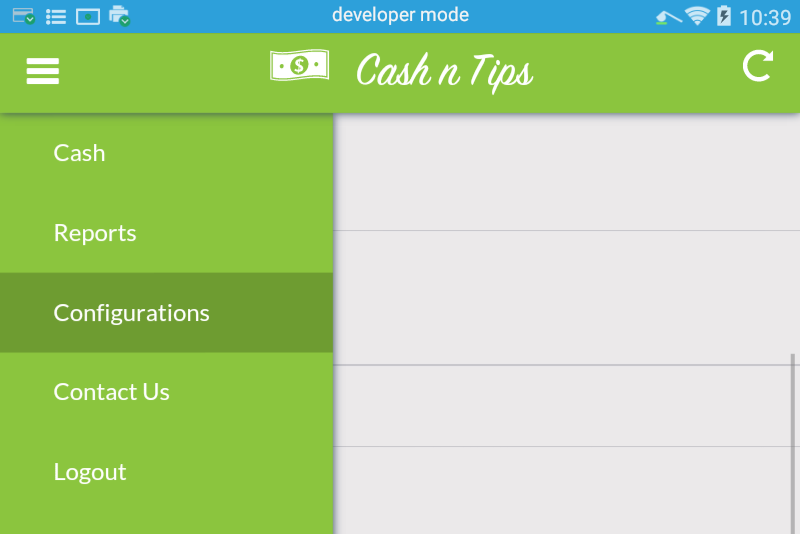 Tap the Cash & Tips app icon to launch the app. You’ll be presented with your current day’s cash report as shown below. 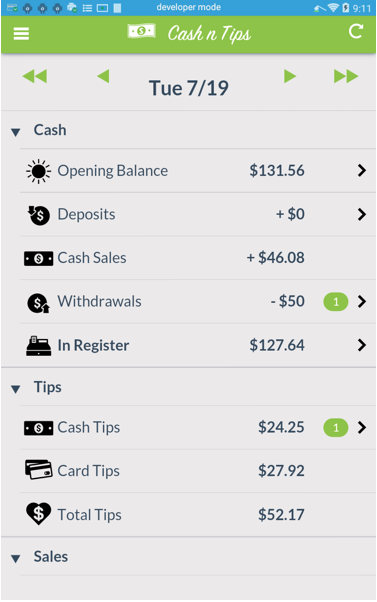 You should configure Cash & Tips the first time you use the app by tapping on Configurations, accessible from the menu (tap on the menu icon at the top left). Configure Balance Change Types, which describe reasons for why you may need to adjust the balance, such as Cash Missing. Configure Close Register Types which describe reasons that you need to change the balance post verification. The first time you use the app, you’ll need to provide an opening balance. 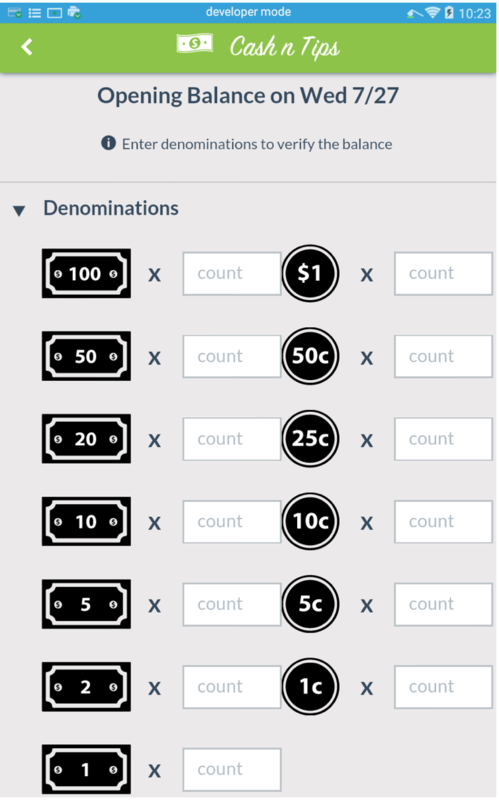 Tap on Opening Balance from the main screen, and then provide the count of each denomination of bills and coins. Opening balance: as a process, the employee/cashier will need to verify the opening balance before the start of the day or shift. The same procedure from directly above should be followed. Deposit: any additional cash deposits needed should be entered by tapping on Deposits on the main daily report screen. All denomination counts for the newly deposited money, as well as a reason for the deposit, need to be provided. Withdrawal: any cash withdrawals performed throughout the day (i.e. deposits to bank, cash purchases for business, payments to employee/vendor, etc.) should be entered by tapping on Withdrawals on the main daily report screen. If you need further assistance with Cash & Tips, tap Contact Us from the app menu.